Ground crews have been readying the seaside launch pad for Falcon 9 flights around-the-clock in recent weeks, and a new rocket transporter was observed vertical at the pad the past several days. 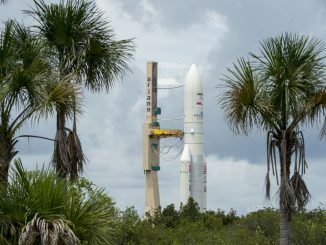 The launch targeted for mid-February will carry several tons of supplies and experiments to the space station, including a new instrument to study the ozone layer in Earth’s atmosphere from a mounting position outside the orbiting research complex. The mission will be SpaceX’s first flight from Florida’s Space Coast since a rocket exploded during a preflight test on the nearby Complex launch pad at Cape Canaveral Air Force Station on Sept. 1. After engineers traced the likely cause of the accident to a high-pressure helium vessel on the Falcon 9’s second stage, SpaceX resumed launches Jan. 14 with a liftoff from California with 10 Iridium communications satellites. SpaceX originally intended to launch the EchoStar 23 communications satellite, designed to beam television programming across Brazil, last year. But the setback of the Sept. 1 explosion and delays completing modifications and checkout of pad 39A pushed back the EchoStar 23 launch to January, then into early February. 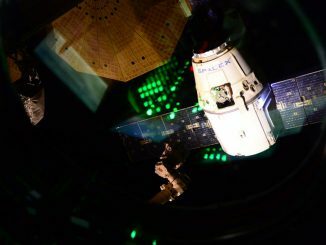 In a statement Sunday, SpaceX announced that the company’s first launch from pad 39A will now loft a SpaceX-built Dragon supply ship to the space station. 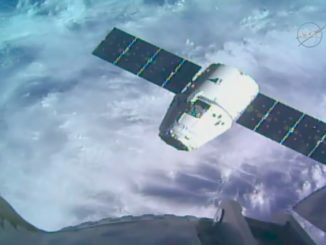 The logistics mission will be the 10th operational station resupply launch by SpaceX since commercial services began in 2012. The EchoStar 23 launch will now follow the station cargo launch, perhaps taking off as soon as the end of February. Third in line for SpaceX at the Florida spaceport will be the launch of the SES 10 communications satellite, a mission that will feature the first re-flight of a Falcon 9 first stage booster after recovery following a launch last year. 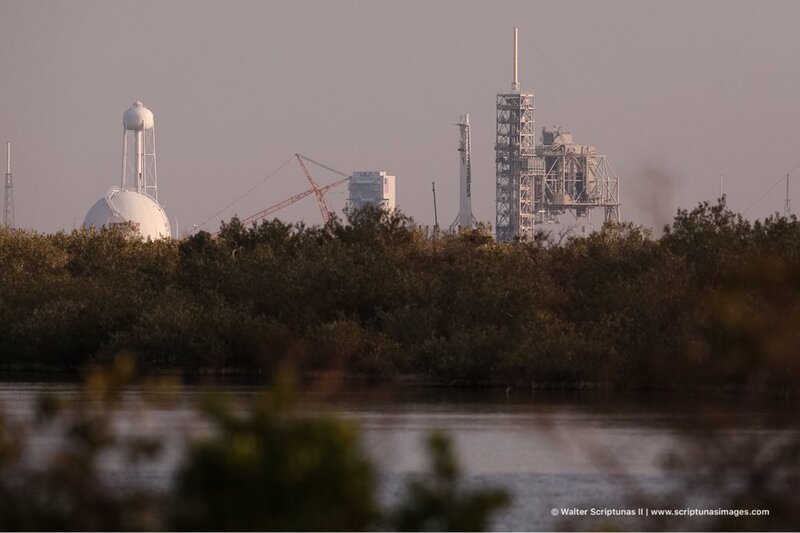 SpaceX is shifting all of its near-term launches from Florida to pad 39A after the company’s primary East Coast launch facility, Complex 40, sustained major damage in the Sept. 1 explosion, which destroyed a Falcon 9 rocket and an Israeli-owned communications craft mounted on top. The Hawthorne, California-based space transport company, founded and led by Elon Musk, was already outfitting pad 39A for Falcon 9 launches before the mishap at Complex 40 last year. SpaceX leased the launch pad from NASA in April 2014, eyeing a maiden flight from the facility in 2015 with the Falcon Heavy, a triple-body rocket sized to deploy heavier satellites in space. 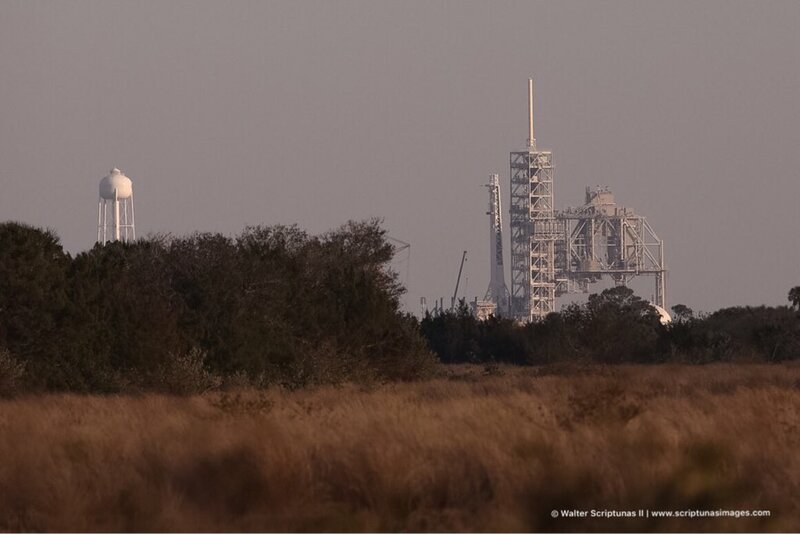 But the Falcon Heavy’s launch date slipped — it still has not flown — and Complex 40 handled all of SpaceX’s Florida-based missions until the explosion last year, prompting a renewed focus on pad 39A, which last hosted a launch with the final space shuttle flight in July 2011. Changes to the launch site have included the construction of a rocket hangar outside the south gate to pad 39A, where space shuttles and Saturn 5 moon rockets arrived on top of tracked crawler-transporters after rollout from the nearby Vehicle Assembly Building. The hangar can accommodate five Falcon 9 rocket cores at a time, according to SpaceX. Other additions include the installation of RP-1 kerosene fuel tanks and the construction of a transporter-erector to carry rockets from the hangar up the incline to the pad, then lift the vehicles vertical. The facility’s water system has also been refurbished to provide acoustic and heat protection to the pad deck during liftoffs, and the water tower at the northeast perimeter of the pad has been repainted, now emblazoned with the SpaceX logo. Later this year, SpaceX plans to add an access arm to pad 39A’s fixed service structure for astronaut crews to board a human-rated version of the Dragon spacecraft beginning in 2018. SpaceX and Boeing have contracts with NASA to develop commercial spaceships to rotate crews between Earth and the space station.